The Evening Cruise is our premiere charter for the perfect end to your day. 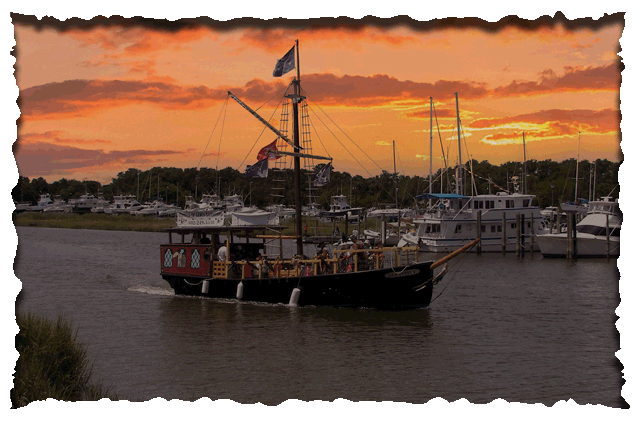 Enjoy a 2 hour cruise aboard the queen of the seas, the Sea Gypsy V. We begin our journey at the Lewes canal right before dusk. We'll sail into golden hour as you take in the beautiful sights and sounds of the bay. Learn about the history of Lewes and join in some old pirate songs. This cruise is perfect for a night of relaxation. All trips are BYOB and BYOF You MUST be at the dock 15 minutes before sailing time. You must book in advance and have paid at time of departure.